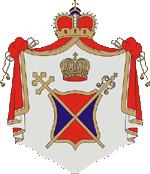 The Montenegrin Orthodox Church (MOC; Montenegrin: Crnogorska pravoslavna crkva (CPC)/Црногорска православна црква (ЦПЦ)) claimes that it is an Orthodox Christian church active in Montenegro and Montenegrin diaspora (most notably in Serbia and Argentina), which is not canonically recognized by the other Eastern Orthodox Churches. It was created in 1993 by Antonije Abramović, a defrocked monk of the Serbian Orthodox Church, who was appointed as the Metropolitan of Montenegro and the head of Montenegrin Orthodox Church, which claimed succession to the autocephalous Montenegrin Church which operated until the unification of the two Serb countries Kingdom of Serbia and Kingdom of Montenegro, later to join the Kingdom of Serbs, Croats and Slovenes in 1918. It has been recognized as a religious community by the Socialist Government of Montenegro (ruling since 1945) since 1999, and it has wide claims over the canonical jurisdiction of the Metropolitanate of Montenegro and the Littoral of the Serbian Orthodox Church. According to a 2009 poll conducted by CEDEM, 29.36 percent of Montenegro's Eastern Orthodox Christians have opted for the Montenegrin Orthodox Church, while 70.64 percent have opted for or stayed with the canonical Serbian Orthodox Church. MOC considers itself to be the sole legitimate representative of Orthodox Christianity in Montenegro, and also lay claim to all Orthodox Christian property in Montenegro that is currently in the possession of the Serbian Orthodox Church. From time to time, MOC members and supporters have attempted to claim some of these structures (mostly in the Cetinje municipal area). The Montenegrin Orthodox Church was founded in Cetinje on October 31, 1993, by Antonije Abramović, allegedly with the Liberal Alliance of Montenegro (LSCG), a political party that existed at the time. At the time, Montenegro was part of the federal state with Serbia called the Federal Republic of Yugoslavia, which was formed a year earlier following a 1992 referendum. LSCG, a party with a pro-independence agenda, is claimed to having used MOC as a tool in their quest for Montenegrin sovereignty. At that time, the ruling Democratic Party of Socialists of Montenegro (DPS) maintained close ties to Milošević's administration in Serbia, and therefore the initial activities of the MOC were very sporadic. By 1997, the DPS administration in Montenegro led by Milo Đukanović began to distance itself from Milošević, and MOC was registered as a civic group. By this time, LSCG had distanced itself from MOC almost completely. On January 17, 2001, MOC was officially registered as a non-governmental organization at the local department of the Montenegrin Ministry of the Interior. In the absence of any other relevant and more current piece of legislation, this registration was done by calling on the Law on the Legal Position of Religious Communities from 1977 when Montenegro was a socialist republic within SFR Yugoslavia. In 2007, MOC attempted to expand its activities beyond the borders of Montenegro. Serbia originally refused to allow MOC to be registered as an organization, as all canonical Eastern Orthodox Churches have also refused to recognize the MOC. However, on appeal, the Serbian Supreme Court ruled this position unconstitutional, overturning the refusal and paving the way for a potential permission to register. MOC is led by the Archbishop of Cetinje and Montenegro Metropolitan Mihailo. At a General Montenegrin People's Assembly formed by the MOC in Cetinje on January 6, 1997, he was chosen by traditional public acclamation the Head of the Montenegrin Orthodox Church. In the Church of St. Paraskeva in Sofia, on March 15, 1998, he was ordained as bishop by Bulgarian Alternative Synod's head Patriarch Pimen and seven Metropolitans and Episcops of his synod. He was enthroned to Metropolitan of Montenegrin Orthodox Church in Cetinje on October 31, 1998, in the presence of several hundred believers and supporters of Montenegrin Orthodox Church. The Montenegrin Orthodox Church currently holds its regular services in several Chapels in the area of Montenegro's royal capital, Cetinje, as well as in its newly built Temple in Kotor. Open-air services are held across Montenegro for Christmas and Easter. The MOC officially opened a new shrine in the old town of Kotor in 2006, following the referendum on independence. Services are also held in the Australian state of New South Wales as well as in the Argentine province of Chaco, which is the base of Archimandrit Gorazd Glomazic and the Montenegrin Church of Saint Nikola in the colony of Machagay. The Church has support from a number of likewise non-canonical, unrecognized Eastern Orthodox Churches: the Ukrainian Orthodox Church of the Kievan Patriarchate, the Bulgarian Alternative Orthodox Church (founded by patriarch Pimen), and its Italian-based branch, the Orthodox Church in Italy. The MOC also has support of the Croatian Orthodox Community NGO, which aims at creating an autocephalous Croatian Orthodox Church for the Republic of Croatia, an act which the MOC came up to as the first supporter. The MOC had original support of the unrecognized Macedonian Orthodox Church, which was latter withdrawn as the Macedonian Church entered negotiations for restoration into communion. It also had support of the Russian Orthodox Church Outside Russia during its uncanonical period, before it was restored into canonical communion by 2007. In all official Orthodox theological circles (such as the Russian Orthodox Church or the Ecumenical Patriarchate), MOC is seen as a schismatic group and a political fabrication, similar to the churches that supported it. MOC also has support from abroad, and it has managed to build several shrines in North America, South America, Australia, Western Europe all home to important Montenegrin émigré communities, most of whom also support the Montenegrin Orthodox Church. The Montenegrin Church is an autocephalous branch of the Eastern Orthodox communion. In 1894 it formally vindicated its independence against the claims of the Russian synod. —  Montenegro. Encyclopædia Britannica. 18 (11th ed.). 1911. p. 771. MOC followers also present foreign early-20th-century travelogues as supposed proofs of the church's legitimacy[weasel words], claiming that in pre-Yugoslav times, the independence of the Montenegrin Orthodox Church has been confirmed as late as 1905, by one of the best-known and well-traveled Balkan experts from the early 20th century, Mary Edith Durham. In her book The Burden of the Balkans, published in London in 1905, Durham explained: "Montenegro alone kept a free and independent Slav Church, which survives to this day". Political parties in Montenegro that so far officially stated support of the MOC are: the Liberal Alliance of Montenegro and minor Roman Catholic Croatian Civic Initiative, officially proposing it to be mentioned in Montenegro's new Constitution, which eventually did not mention it with its adoption in late 2007. The Initiative invited representatives of both the Montenegrin and Serbian churches to a special municipal meeting in Tivat, sparking a boycott among local Serbian politicians. In Serbia, the church has the support of the Roman Catholic Alliance of Vojvodina Hungarians which believes it should be a recognized religion in the country. One of the prominent members of the Montenegrin Orthodox Church was Jelisej Lalatović, a former Serb monk from Nikšić, defrocked for stealing of church property and falsification of church seals. In early 2010 he joined with the Croatian Orthodox Union for the formation of the Croatian Orthodox Church and became its chief in Zadar. Lalatović was immediately expelled from the MOC on the grounds of spreading unrest and immorality in the church, the MOC officially dismissing its connections with the formation of the COC. Opponents accuse it of being a group without theological purpose, and of having only political goals. Metropolitan Antonije Abramović (initially vehemently supported by the biggest pro-independence party in Montenegro at the time – Liberal Alliance of Montenegro (LSCG)) was the first leader of the church in 1993. After his death, he was replaced by Metropolitan Dedeić. Most liberals did not approve of this change, and their support for the church soon started to fade. After 1997 the Government of the Republic of Montenegro started supporting and financing the Church, receiving support from both the Democratic Party of Socialists of Montenegro and the Social Democratic Party of Montenegro; however, after 2001 this support seemingly waned. The Montenegrin Orthodox Church maintains that Serbian Orthodox Church usurped its churches and other property in Montenegro in the early 20th century, following the annexion of Montenegro by Serbia. According to the MOC, the Metropolia of Montenegro and the Littoral of the Serbian Orthodox Church (SOC), headed by Metropolitan Amfilohije Radović, has existed for only around eight decades, "or to be more precise, it has been there since 1920 when it was established as a structural and integral part of the Serbian Patriarchy in doctrinal, legal and organizational sense". The MOC maintains claims that the SOC Metropotanate was installed in Montenegro only after the autocephalous Montenegrin Orthodox Church was dissolved in 1920 against the constitution and canon law. In September 2008, Serbian Orthodox locals attempted to launch a blockade in the Nikšić area to prevent the MOC from building a church there. Sixty five people were arrested for violating public order. On January 11, 2007, MOC restored its own Holy Synod and proclaimed its first decree in which it confirms its autocephalous status. The Holy Synod is constituted by archpriests of MOC, led by Metropolitan Mihailo. The Holy Synod divided Montenegro in five eparchies – Cetinjska, Dukljanska, Primorska, Ostroška and Beranska. Construction of the first MOC shrine abroad, the Holy Church of Righteous Ivan Crnojević, is planned to take place in Lovćenac, Vojvodina, Serbia, with the help of the Association of Ethnic Montenegrins in Serbia Krstaš. A contract for the land on which the new MOC shrine will be built was signed on 5 August 2005. A list with the names of several dozen donations—from Montenegro, USA, Slovenia, Australia and Switzerland—for the construction of a MOC shrine in Serbia has also been published. The Montenegrin Orthodox Church, which was restored in 1993, lays a claim to all Eastern Orthodox churches, monasteries and chapels in Montenegro built before 1918, and all Serbian Orthodox churches built after that date with financial assistance from the state. However, the Church of Montenegro was not included into the SOC before 1920. They base their claims on their belief that they are the rightful successors of the autocephalous Montenegrin Metropolitanate, which participated in the formation of an imposed Serbian Orthodox Church in 1920. In April 2007 the "President of the Council for the promotion" of the MOC, Stevo Vučinić, was quoted as saying the "we [the MOC] will retake of all the churches and chapels in the towns, and of course the village churches, and the monasteries...we expect resistance, but in no case will we give up". President of the Republic of Montenegro Filip Vujanović said that he will protect the property of the Serbian Orthodox Church, along with other administrative officials, saying that the MOC should not give up and that they should go to legal suits on specific cases. Despite this, the MOC has claimed that it does not care about anyone's opinion outside its Council calling it irrelevant and is determined to forcibly reclaim their property in Montenegro, currently occupied by SOC. According to data of Centre of Democracy in Montenegro from February 2007, the Serbian Orthodox Church was the most trusted institution in Montenegro by public opinion (coefficient 3.29), while the Montenegrin Orthodox Church was ranked sixth (coefficient 2.35). On Wednesday, April 18, 2007, the representatives of the Montenegrin Orthodox Church – which has announced that it did not wish to cause an "excessive situation", but that it would enter the Serbian Orthodox Cetinje monastery without regard to the reaction of the Serbian Orthodox Church to their claims and requests – attempted to do so. Special police units prevented their forceful entry and that of several hundred supporters of the MOC. There was some pushing and shoving between the police, and the crowd which had intended to force its way into the monastery. Following this, members of the crowd shouted slogans such as "this isn't Serbia", "whose police are you?" and "Risto, Satan" (a reference to Metropolitan Amfilohije of the SOC). The Church of Saint Peter of Cetinje in Kotor, belonging to the Montenegrin Orthodox Church. ^ "Politicko Javno Mnjenje Crne Gore" (PDF). CEDEM (in Montenegrin). October 2009. Archived from the original (PDF) on July 22, 2011. Retrieved 7 July 2010. ^ Morrison, Kenneth (2008). Montenegro: A Modern History. I.B.Tauris. p. 138. ISBN 9780857714879. ^ "O registraciji crnogorske pravoslavne crkve" [About Montenegrin Orthodox Church Registration] (in Montenegrin). MOC Official Website. 22 March 2001. Retrieved 7 July 2010. ^ "Montenegro - International Religious Freedom Report 2007 BUREAU OF DEMOCRACY, HUMAN RIGHTS, AND LABOR". U.S Department of State. ^ "Serbia Lifts Ban on Montenegro Church". BalkanInsight. 12 June 2008. Archived from the original on June 23, 2008. Retrieved 7 July 2010. ^ "Hramovi u kojima Mitropolit sluzi" [Parishes which serve the metropolitan area]. Montenegrin Orthodox Church (in Montenegrin). 2000. Archived from the original on 12 January 2010. Retrieved 7 July 2010. ^ "Price o crnogorskim iseljenicima u Argentini" [Story of Montenegrin immigrants in Argentina]. montenegro-canada (in Montenegrin). 27 May 2005. Retrieved 7 July 2010. ^ "PATRIARCH FILARET SUPPORTS UNRECOGNIZED MONTENEGRIN ORTHODOX CHURCH". Religious Information Service of Ukraine. October 2010. ^ "Chiesa Ortodossa in Italia" [Orthodox Church in Italy]. Orthodox Church of Italy (in Italian). Retrieved 7 July 2010. ^ "Alo | Vesti | Ustaša osniva "pravoslavnu crkvu"". Alo.rs. Archived from the original on 2012-02-24. Retrieved 2010-06-08. ^ "News". Montenet.org. Retrieved 2011-09-17. ^ a b "Istorijat Crnogorske pravoslavne crkve". 3 March 2001. Archived from the original on 2001-03-03. ^ "Montenegro Crna Gora Montenegro". www.montenegro.org.au. ^ "Montenegrin Association of Australia - NEKOLIKO SVJEDOČANSTAVA O AUTOKEFALNOSTI - Several Proofs of Autocephalousy". Montenegro.org.au. Retrieved 2011-09-17. ^ "Novak Adžić: Crnogorska pravoslavna crkva u doba dinastije Petrović-Njegoš (1667-1921)". Tvorac-grada.com. Retrieved 2011-09-17. ^ "RELIGIJA NA BALKANU - Religion at the Balcans". Aimpress.ch. 2001-12-06. Retrieved 2011-09-17. ^ "Yugoslav Ex-Royals Demand Montenegro Castles Back", Balkan Insight. Retrieved on 5 March 2018. ^ "The Burden of the Balkans (London, 1905)". Peacelink.nu. Retrieved 2011-09-17. ^ M.Djuricic. "Boycott by opposition because of CPC". Tivatonline.com. Retrieved 2011-09-17. ^ "Vojvodina's Montenegrins back Hungarian candidate". B92.net. Archived from the original on 2011-06-06. Retrieved 2011-09-17. ^ Vesti Online, Crnogorski raspop vraća delo Pavelića, 14. 03. 2010. ^ Vesti Online, Jelisej isključen iz CPC zbog nemorala, 15. 03. 2010. ^ "Liberal Alliance of Montenegro official site". Lscg.org. Retrieved 2011-09-17. ^ a b "Montenegro: Police arrest 65 in church dispute". International Herald Tribune. 2009-03-29. Retrieved 2011-09-17. ^ "Krstaš, Association of Montenegrins in Serbia". Krstas.rs. Retrieved 2011-09-17. ^ "Krstaš website". Krstas.rs. Retrieved 2011-09-17. ^ "unknown title". Vijesti. Archived from the original on September 27, 2007. ^ "CEDEM - Političko javno mnjenje Gore Gore - Povjerenje u institucije - Februar 2007" (PDF). Archived from the original (PDF) on 2011-09-12. Retrieved 2011-09-17. ^ "Vesti - Policija zaustavila vernike CPC - Internet, Radio i TV stanica; najnovije vesti iz Srbije". B92. Retrieved 2010-06-08. ^ Milan Nikolic. "Predsjedniku Republike Crne Gore - gospodonu Milu Djukanovicu". Montenet.org. Retrieved 2011-09-17. Wikimedia Commons has media related to Montenegrin Orthodox Church.